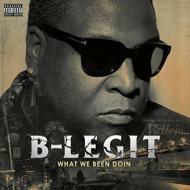 B-Legit is a verifiable hip-hop legend. Blood relative to E-40 and a member of the powerhouse group, The Click. The Bay Area Legend returns with a brand new album that features e_40, Berner, J Boog, Clyde Carson, Problem, Cousin Fik and more!